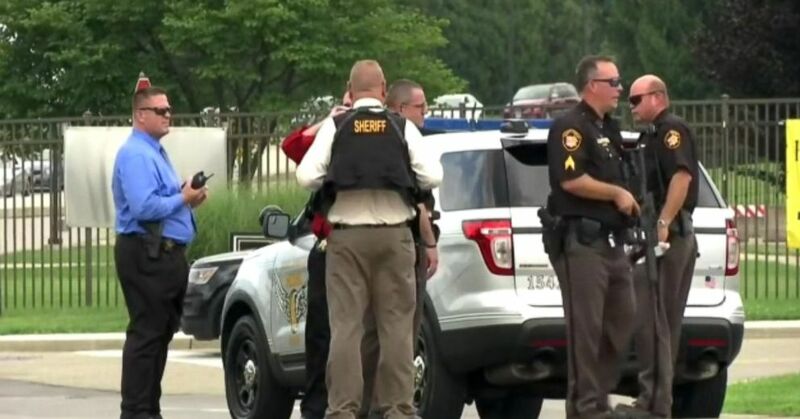 A training exercise at an Air Force base in Ohio caused an emergency active shooter response Thursday, prompting a lockdown, the evacuation of a hospital and led one security force member to open fire on a locked door to get it open. 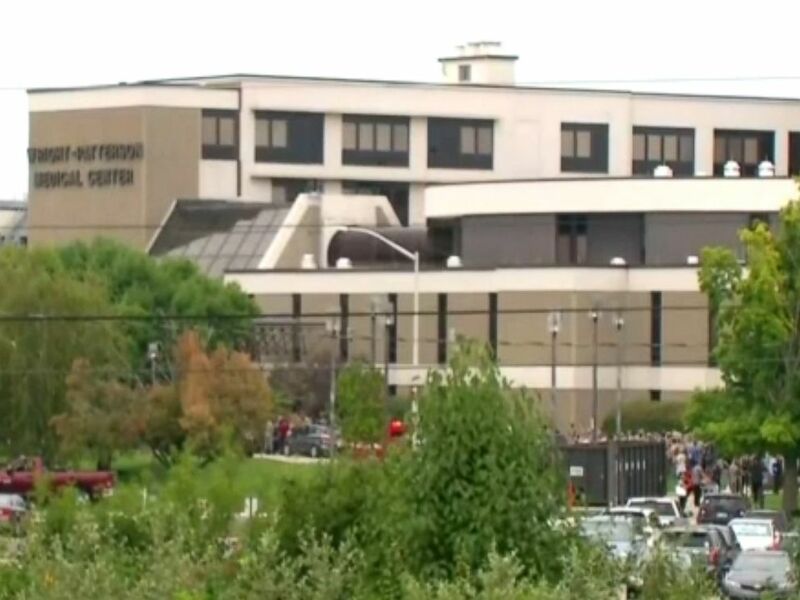 "An unknown individual called 911 believing that there was a real-world incident occurring within the base hospital," officials at the Wright Patterson Air Force Base said in a statement posted to Twitter about 3:40 p.m., roughly two hours after the base was put on high alert. 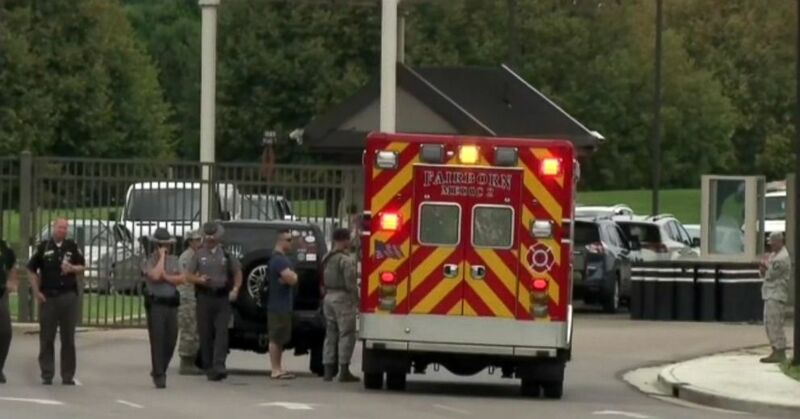 Authorities issued a shelter-in-place order at Wright-Patterson Air Force Base near Dayton, Ohio, Aug. 2, 2018, after getting reports of an active shooter at the base's hospital. After getting the 911 call, security forces at the Dayton base quickly mobilized and ordered a shelter-in-place order as they investigated. "As a result, security forces responded to the scene and began a systematic sweep and clearing of the entire hospital," the statement reads. "In an attempt to breach a door that was locked, a security forces member discharged his firearm to open the door and continue the sweep of the facility." 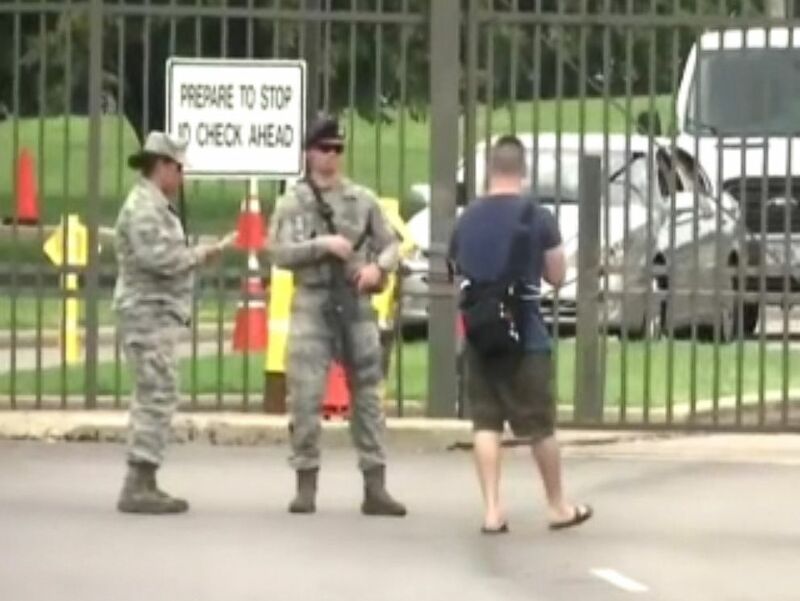 Officials issued an all-clear notice about 3:35 p.m., roughly two hours after security forces were put on high alert, writing on Twitter, "There was no real world active shooter incident on Wright-Patterson AFB and base personnel remain safe." The first alert was issued on Twitter at 12:40 p.m.
"Our base first responders are trained to quickly assess situations and take necessary action," officials said in their statement. "They responded with the level of professionalism and urgency required."